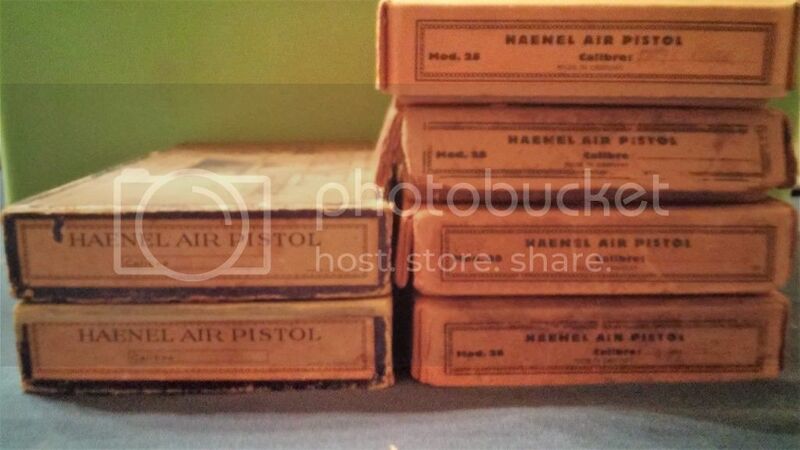 I am sure there is someone who has more Haenels, I believe that I have owned 84 Haenel air pistols in my lifetime. 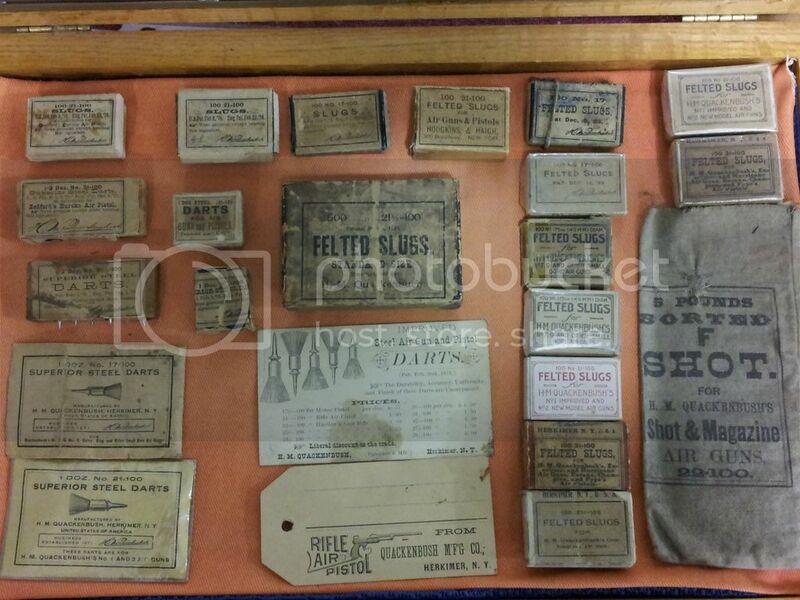 As for being a "rookie", even after 50 years of collecting, I am still learning and can't wait to find that next treasure. 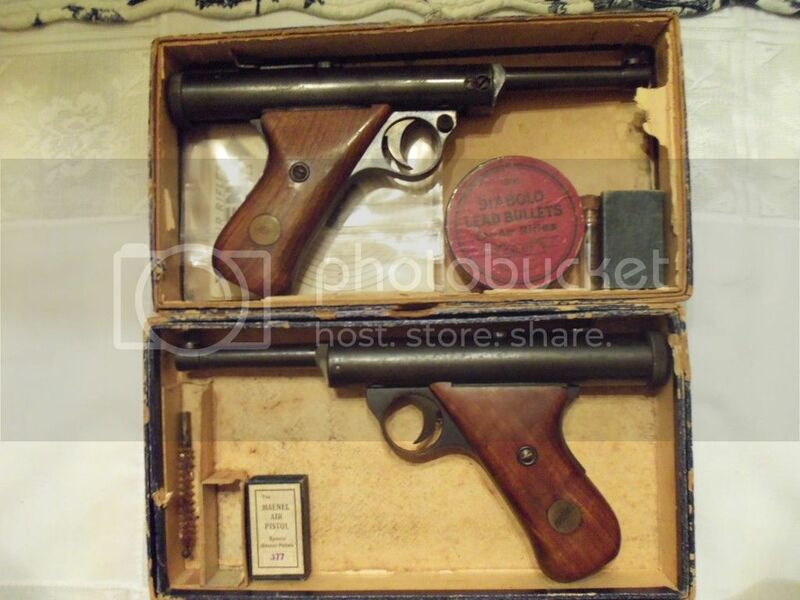 I have tried to limit myself to Haenels, Tell 3's and the early American 19th century air pistols and their accessories. 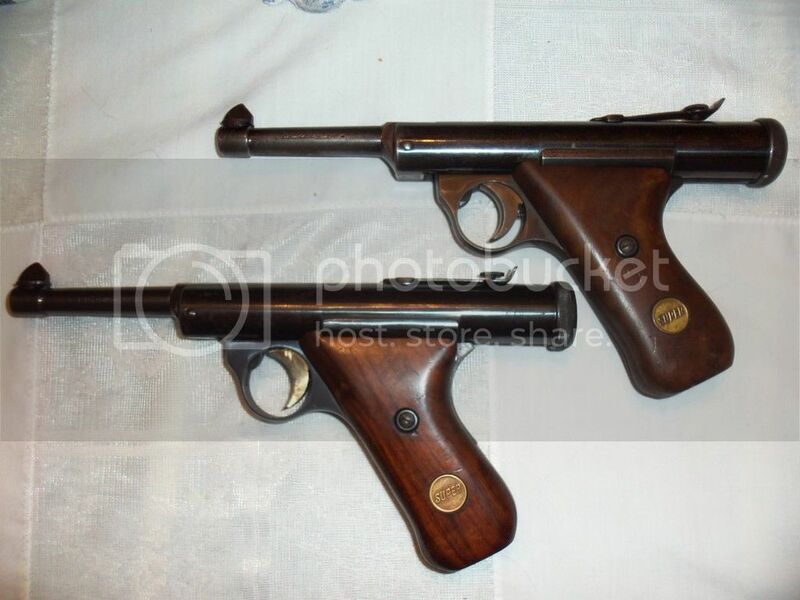 There is just something about these early air pistols that is very intriguing and new information and variations seem to be turning up. 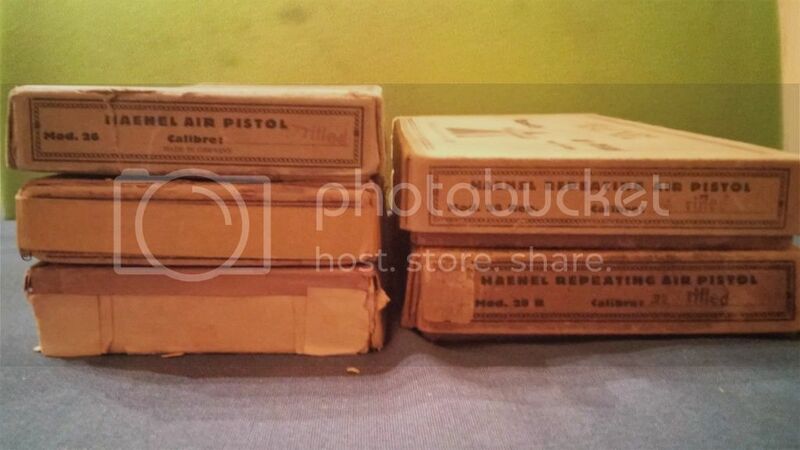 The early air rifle ammunition containers are just another item that makes collecting so great. 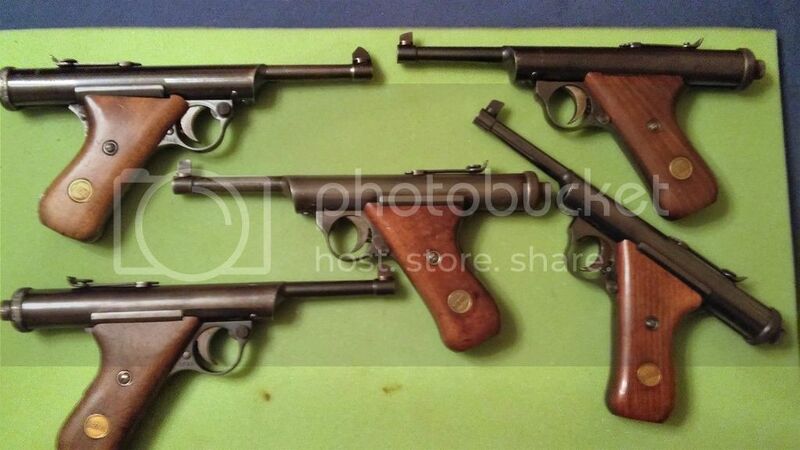 There are so many unique British spring air pistols, some you rarely see here in the United States. I was so pleased to get my copy of the Encyclopedia of Spring Air Pistols in October 2008. Every time I pick up John's book I learn something new or remember something I forgot. I was fortunate enough to hear from John before the book was published and am very grateful that I was able to contribute some valuable information. Thanks for sharing, the Tell 3 is my only other real dream but I doubt that will ever be realized. I too am drawn by all the various British and German variants. So much unique engineering in the early springers. I just purchased a EMGE Zenit this month and its mechanics are are so unique and metal blued just like a firearm, though stamped metal. My goal, is trying to find just one example that is as near to new as possible. Like holding a time capsule. Dreams...don't underestimate them. Years ago my Dad and I were driving to an airgun show in Baldwinsville NY. I pulled out a copy of Quackenbush Guns by John GROENEWOLD and it opened to the page showing the Excelsior air rifle. I told Dad, wouldn't it be great if we found an Excelsior. We did not have an Excelsior in the collection and never had the opportunity to even buy one. That day we saw one, $2,250 was the price. Out of our price range but we had a couple of pieces this collector wanted so we traded for it. I could go on and on but one thing I have learned, follow any lead that you come across as quite often it leads to another even better item. Is their a best pellet to help cycle the repeater? I have read somewhere round balls are best?